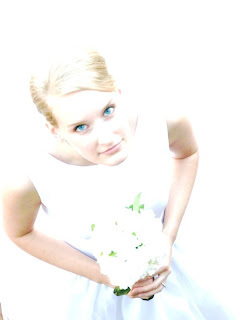 My dear in-real-life friend, Melissa, is a newlywed and in need of weekly meal planning help. If any of you dear ladies have time, would you mind visiting with her on her blog and helping her out? I told her that I am no help with weekly menus because I do things differently. I grocery shop twice a month after Mr. U gets paid. Yesterday was one of my grocery shopping days. I LOVE having a houseful of groceries, knowing that I will be able to make meals for my family. Before I grocery shop, I always make a menu. After I make the menu, I make a list of every single thing I will need for the each recipe. I then head to my pantry, refrigerator and freezer to see what ingredients I already have on hand. I will then mark off the ingredients I do not need to purchase on that shopping trip. So, there's 14 days of meals!! Yesterday we had pizza and today we are having chicken sate. So, I will cross those off my menu so that I know that I have already used those ingredients. I do not assign certain meals to certain days. It has never worked for me that way. Also, I decide the night before what we will have the next day. If any meat needs to thaw, I will take it out of the freezer and put it in the refrigerator the night before. If we find out we will have people over to eat, I will make extra bread, make more salad or green beans and make sure to serve dessert. This is what works for me and for our family. Often, Mr. U or Joshua will ask for a certain meal that we haven't had in a while or one that they particularly like and I try to make sure that I make it. I love cooking for my family and making sure that they all enjoy what they eat and that it is relatively healthy (notice, I said "relatively" HA!! Homemade IS healthier than eating in a restaurant or eating a frozen meal, though, isn't it?). So, y'all please share with Melissa how you handle weekly menus. As a new bride, I am sure she will appreciate any and all advice!! I'm part of Organizing Junkie's Menu Plan Mondays. She'll get tons of help there. I'll definitely stop by her blog. I love menu planning and selecting yummy recipes to prepare -- it's so much fun. With a menu like you've got for the next couple of weeks, you are going to be having a lot of company:) Everything sounds so good! Yum! I love Italian Wedding Soup. Do you make yours from scratch or is it canned? If it's from scratch PLEASE publish the recipe. I'm a cookbook-aholic and haven't found one that I like yet. I am a cookbookaholic, too! I can sit for hours and read cookbooks!!! Thanks again for posting this, your blogging friends helped out so much! It's so funny, you do have a meal plan! You didn't even realize it, but you do! I'm with you though on having a certain thing planned for a certain day of the week. What if you aren't feeling that meal? Maybe you want something else you have planned for another day? I'm viewing everyone's menus as they have linked up and I'm creating my own meal plan with everyone's help.